It is almost the time of the year when countless couples appear in the neighborhood, invade single people’s space and take up all the seats in estaurants. These things all happen on Feb. 14 and we call it Valentine’s Day. Although the holiday is celebrated and known internationally, people from different countries have their own unique style when it comes to showing affection for their loved ones. Amongst all the Valentine’s Day celebrations, I believe Japan has the most special tradition because the girls take action instead of the boys. 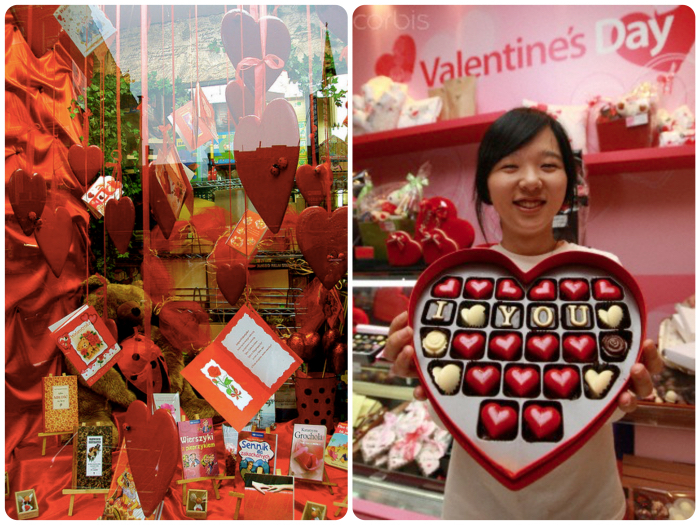 They typically prepare chocolate for the boys to catch their attention as a sign of love. The act of giving chocolate to boys isn’t limited to single people; a boy will also receive chocolate from his significant other even if they were already in a relationship. On March 14, also known as “White Day,” boys prepare gifts other than chocolate for the ones he received chocolate from. To show respect, a boy is expected to give presents to the girls despite the fact that he may not have feelings for them. Meanwhile, in Chinese and Taiwanese cultures, men sometimes buy roses in multiples of nine to show that their love is going to be strong and last forever. Why the number nine? It is because the pronunciation for “nine” is same as the word “forever” in Mandarin. If budget wasn’t a concern, then 999 roses would be the best present to surprise a girl with on Valentine’s Day. And last but not least, people from India celebrate Valentine’s Day for a whole week instead of only a day. They have a schedule where every day has a mission to be carried out, and everything ends on Feb.14. For instance, February 7 is set to be the “Rose Day,” February 8 is “Propose Day,” February 9 is “Chocolate Day,” February 10 is “Teddy Day,” February 11 is “Promise Day,” February 12 is “Hug Day” and the final task for the week is to kiss your loved ones on February 13. I hope people who read this article will learn about the different ways people from these three Asian countries celebrate Valentine’s Day and perhaps plan their Valentine’s dates according to these traditions.